Eligible English-taught Masters Degree Programme offered by the Faculty of Arts, Faculty of Philosophy, Theology & Religious Studies, Faculty of Social Sciences, Faculty of Science, Faculty of Medical Sciences, Faculty of Law, and Nijmegen School of Management. The scholarship is not an amount of money that you will receive in your bank account, but consists of a partial tuition waiver. The tuition fee will be waived to the level of an EEA student. For example: a grant holder in 2017/2018 will pay a tuition fee of only €2,006, instead of €9,432 or €10,360. In addition, the Radboud Scholarship also covers costs such as those for visa, residence permit, health insurance and liability insurance. This amounts to about € 725. The application for admission and the application for the scholarship is fully integrated, there is no separate procedure for the scholarship. 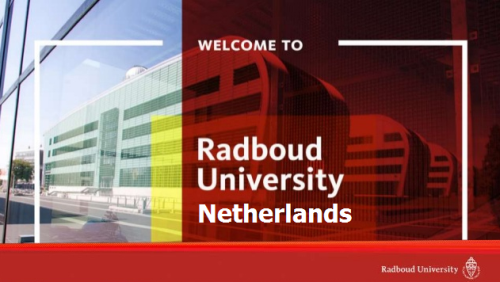 You apply for a Radboud Scholarship by indicating on your Master’s application form for admission that you wish to apply for a Radboud Scholarship. You must have finalized your request for admission via the online application system OSIRIS Incoming Students. Visit Scholarship Website for more details. Now that all the information about Radboud Scholarship Programme for International Students has been delivered nicely; talented students who are eager to pursue their Free Tuition/Scholarships/Study in Netherlands can apply now.